We're SO glad they survived. 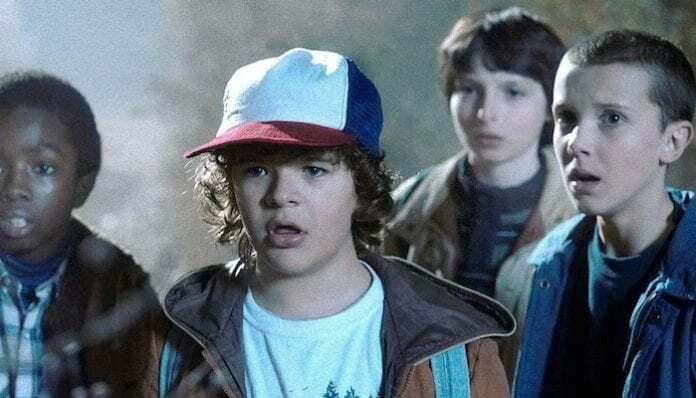 Stranger Things creators revealed that two important characters were supposed to die in season one. We’re really, really glad the Duffer brothers changed their minds. The Duffer brothers reveal some behind the scenes details about the show in a new book about the series, Stranger Things: Worlds Turned Upside Down. NME is sharing some of what the creators wrote, including some really shocking information about characters that weren’t supposed to live past season one. One of them is Bob Newby (Sean Astin). Even though he was always meant to be killed off, it should have happened earlier in the series. “Sean Astin proved so likeable that Bob’s death got pushed from episode four to episode eight because we kept wanting to keep him alive,” Ross Duffer explains. Plus, they didn’t have plans for fan-favorite Steve Harrington (Joe Keery) to stay alive for so long. Steve “was just supposed to be this giant douchebag,” says Duffer. However, Keer’s likeness changed his character’s fate. However, the Duffer brothers came up with a new plan based on the show’s success. Luckily for us, the writers changed their minds. We’ll be seeing more of them on season three, which is getting summer 2019 release. Recently, set photos came to the surface featuring Brown as Eleven, the 14-year-old actress appears to be in distress, surrounded by crashing ocean waves. Co-star Aimee Mullins, who plays Eleven’s mother, stunt doubles and a small child in a baseball uniform joined her in the scene. There’s not much we know about what the season entails yet. However, Netflix’s vice president of original content Cindy Holland shared it will contain “more special effects” than previous seasons. Additionally, executive producer and director Shawn Levy hinted that fans should expect a much darker take on the show—however, that doesn’t mean we won’t see a few fun moments.